Summary: Organizations often end up paying way more for PLM software than they anticipate. Why? Because of the hidden fees vendors fail to mention upfront. There are 5 cost centers that greatly increase the price of PLM, so make sure to consider them during evaluation. The sticker price of PLM is rarely the whole story. In the 2018 CIMdata market analysis report series, they found that only 42% of the revenue from the PLM ecosystem was from licenses. That means that on average if your PLM price is $4,200 a year, you’re on the hook for another $5,800 before you’re good to go. CIMdata breaks it down nicely below, showing where PLM vendors get the other 58% of their cash. Today we’re going to look at 5 cost centers to watch when you consider your PLM price. Almost every single PLM vendor out there will quote you a PLM price and then add implementation fees on top. And this isn’t like an extra $20 on top of what you’ve already paid. Implementation fees can jump into the millions as consultants and technical staff are brought in to build and deploy your new solution. Implementation fees can be in the millions. Implementation is not only costly but also extremely complicated. We reverted to a homegrown solution following several failed attempts at PLM implementation with different vendors — one of which took several years to implement and cost the organization $10 million. But once you’ve paid out the hefty implementation costs your PLM system is good to go right? There’s also integration fees, another hidden cost not mentioned in the PLM price vendors will initially quote you. What exactly do integration fees include? Well once implemented, PLM software rarely works with other software out of the box. This means you’ll have to pay to integrate the programs you use every day with your PLM. Since these programs are crucial to your business processes, it’s vital that your PLM capture the information within them. 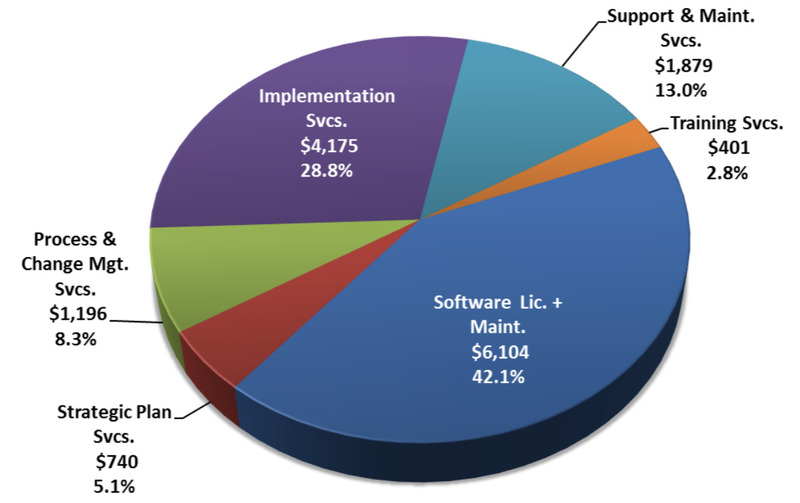 So how much do integrations add to your total PLM price? The cost of integrations will vary based on how many you need, but you’ll for sure be adding a figure well into the thousands to your PLM price. Each integration adds thousands of dollars to your PLM price. Now that your PLM system is fully implemented and integrated, you need to make sure the people at your organization know how to use it. Training services are sometimes included for free with licenses, but this isn’t the norm. More commonly, PLM vendors charge a premium for the training necessary to use their software. So how does this affect your PLM price? So how much does all this training add to your PLM price? A single day of training for one user will add just a little less than $1,500 to your PLM price. A single day of PLM training for one user costs just under $1,500. With most PLM courses running 3 days, one session of training adds an almost extra $4,000 to your PLM price. Training for one user adds almost $4,000 to your PLM price. Now multiply that $4,000 by the number of people you will need to send for training. You’ll need at least a few project managers from each department to attend, which means your initial training costs will add tens of thousands of dollars to your PLM price. Initial training costs add tens of thousands of dollars to your PLM price. But what happens when one of these trained individuals quit, or a new version of your PLM is released? Well, you’ll have to pay for training again in both scenarios. Both staff turnover and software upgrades will end up adding another $4,000/user to your PLM price. The recurring cost of training makes its hard to know exactly how much money training fees add to your PLM price in the long run. But we do know one thing for sure: it’s a hefty figure with a lot of zeros at the end. Implementation, integration, and training have all been taken care of, but now you need to get all your company’s data on your PLM. Transferring legacy data onto PLM software is something pretty much all PLM vendors offer, but is something few do for free. With data migration being a multi-day process, this service doesn’t come cheap. Depending on the amount of data that needs transferring, this hidden cost will increase your PLM price by tens of thousands of dollars. Data migration increases your PLM price by tens of thousands of dollars. Data migration is a crucial part of PLM set-up as it allows the shared source of truth that PLM creates, to include information from both before and after the software was implemented. Our advice is to make sure you factor in how much it’s going to cost to “stock” your PLM with legacy data when you’re considering buying. The last hidden fee to watch out for in your PLM price is in regard to the auxiliary systems that support your business processes. This includes programs like your ERP and CRM. In order to get the most value out of your PLM system, it must be connected with these program’s databases so that your organization’s information is fully centralized. To do so, you need to connect these programs so that the data in let say your ERP is automatically transferred into your PLM. And the cost of connecting your ERP with your PLM isn’t cheap. In fact, it regularly runs up to $10,000. Connecting a PLM to an ERP regularly runs up to $10,000. 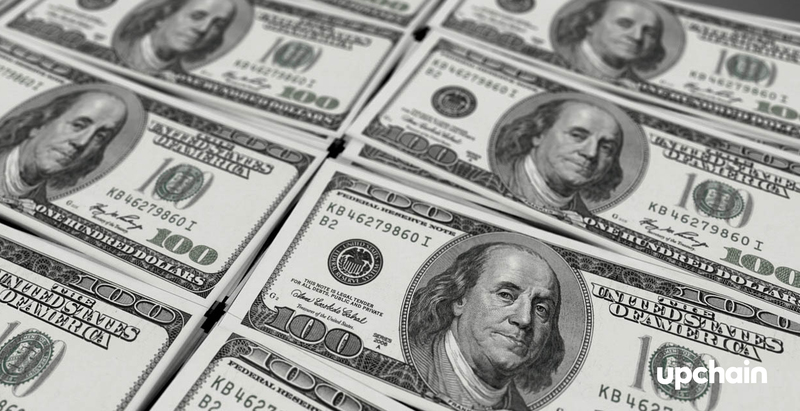 Each auxiliary system you connect with your PLM will similarly run you a bill of about $10,000. With leading PLM consultants recommending to connect a minimum of 5 auxiliary systems to your PLM, this adds at least another $50,000 to your total PLM price. Connecting auxiliary systems easily add an additional $50,000 to the total PLM price. But why do these systems need to be connected? Well, let’s say your product data spreadsheet is being used to power your ERP. Then you need a new system to get product data to your ERP. This might be a hard-coded integration, but it could equally be middleware — both of which are an additional cost to your PLM price. The sticker price of PLM software is far from what you’re going to actually have to fork out to get a functioning system. When evaluating vendors it is important to keep the 5 hidden fees we’ve outlined in mind so that PLM doesn’t end up breaking the bank. Doing so will let you know what the total cost of ownership of your PLM system is and allow you to fully understand how much you’ll be spending altogether on PLM.